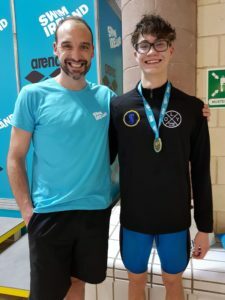 This years Swim Ireland Short Course Championship saw some of the most exciting action you are likely to see in a swimming pool and Bangor Swimming Club more than played their part. Our competition got underway on Thursday as Calum Dornan yet again took on the gruelling 1500m Freestyle with Neave Pountney , Amelia Urry, Tommy Aitken, Ben Riddell, Jaime Nichols, Samuel Wright and Ciaran McKee also in action taking on the best swimmers on the island. It was Rachel Bethel (800m Free), David Thompson, Emma Reid (both 50m free) and Jack McMillan (200m IM) who would return that evening to represent Bangor in the first of the championships finals. Rachel Bethel was the first to make the podium for Bangor, touching first in an impressive 8:49.32 to be crowned this years Irish Champion in the 800m Freestyle. 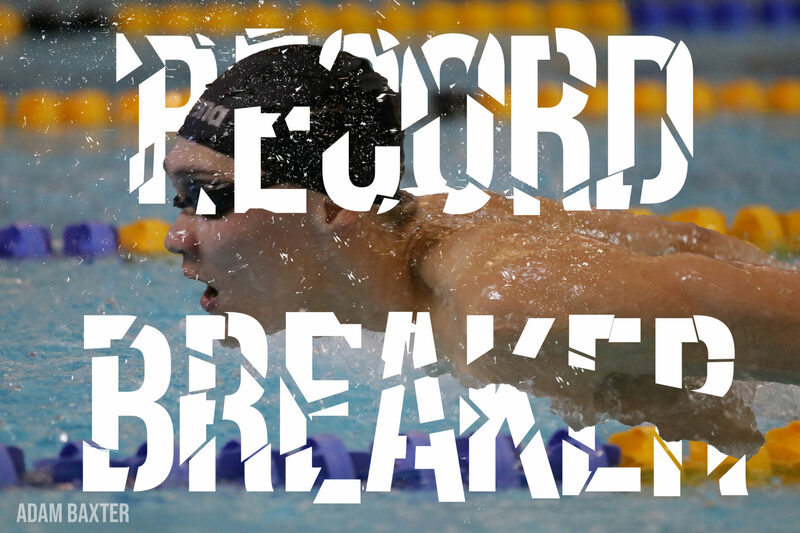 The action didn't stop there as the show stopping moment of the night and arguably entire meet came from Jack McMillan as he touched in 1:58.36 to claim the gold in the 200m IM and break Andrew Bree's 15 year old Irish Senior Record as Bree watched on from the commentators table. Andy was the first to congratulate Jack and everyone representing Bangor left Lisburn in high spirits and ready for more action. Day 2 didn't disappoint, Conor Moffett, Sarah Davidson and Ryan Lewis got their first taste of action as the young swimmers continued to PB alongside a solid relay performance but it was Emma Reid who would be bringing home the gold for Bangor in the evening session, 27.04 on the scoreboard was more than fast enough to claim this years 50m Butterfly Irish Championship and Bangor yet again made the 20 mile journey home with smiles on faces and optimism for the second half of the championship. It would be Emma Reid and Rachel Bethel (both 100m Butterfly) and Jack McMillan (100m IM & 400m Free) who would progress to Saturdays final as despite the 5 hour break the atmosphere in LaganValley LeisurePlex built with anticipation after seeing some phenomenal swimming over the previous days. Bangor did not disappoint with Emma winning her second gold of the Championship by touching home first in an impressive 1:00.60 in the 100m Butterfly. Jack then made it 5 golds for Bangor and set a new Junior Irish Record in the 400m Freestyle touching in 3:46.43 to bring Bangor into the final day confident they could end strongly. With not as many swims for Bangor on Sunday it was up to Rachel and Jack (both 200m Freestyle) to represent Bangor in the evenings finals along with the medley relay team. With eyes tiring and thoughts starting to wonder what the traffic was like on the Westlink Jack soon brought the attention back to the pool, he touched home in 1:44.49 in one of the closest 200m Freestyles you are likely to see to claim not only gold for Bangor but also a new Junior Irish Record. Before anyone had a chance to catch their breath the 4x50m medley relay team then recorded a time of 1:40.28 to beat UCD to the gold and set a new Irish Senior Record. Special thanks as always to all of the swimmers, coaches, volunteers, parents and anyone who was a taxi service/cheerleader/motivator throughout the weekend, it was a fantastic meet and we now have our sights set on our own meet on January 19th-20th to celebrate the 100th year of the club being founded.